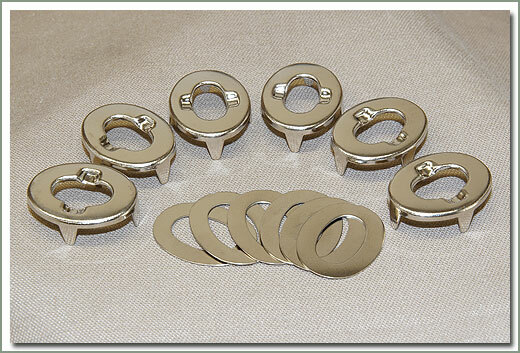 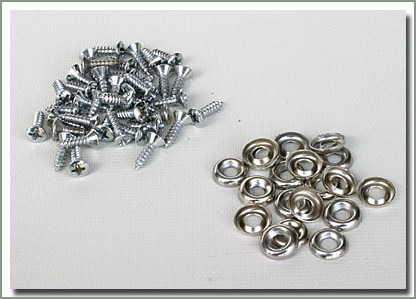 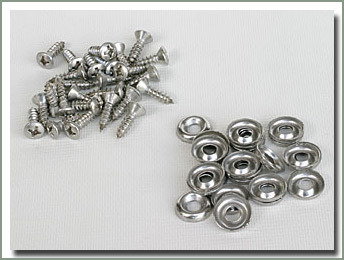 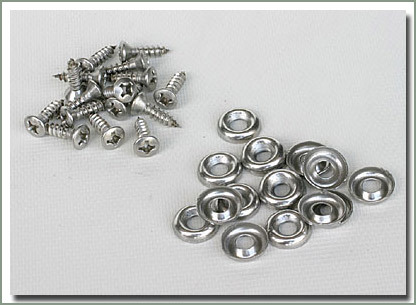 These Stainless Steel Hardware Kits include: exposed rear door hinge screws, exposed front door hinge screws, windshield hinge screws, hood hinge screws and nuts, hood hook screws and nuts, windshield hook screws and nuts. 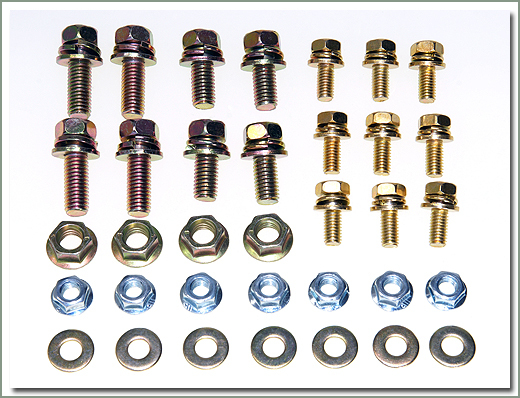 Fits 1965-4/78 40 Series - Includes: exposed rear door hinge screws and washers, exposed front door hinge screws and washers, windshield hinge screws, hood hinge screws and nuts, hood hook screws, washers and nuts, windshield hook screws, washers and nuts. 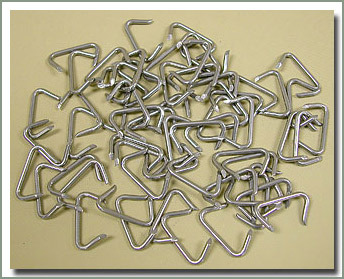 Does not include hardware for hardtop. 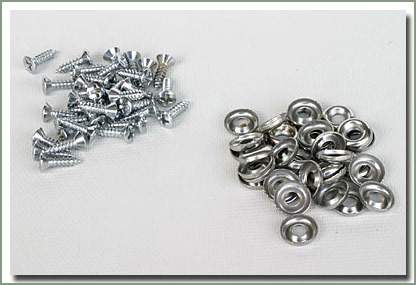 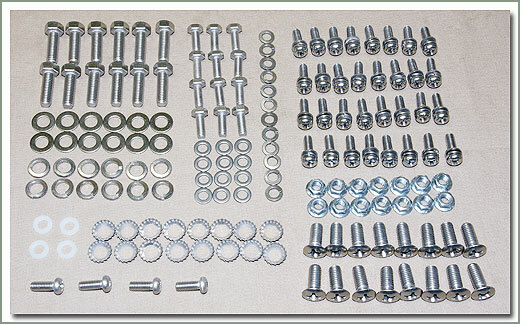 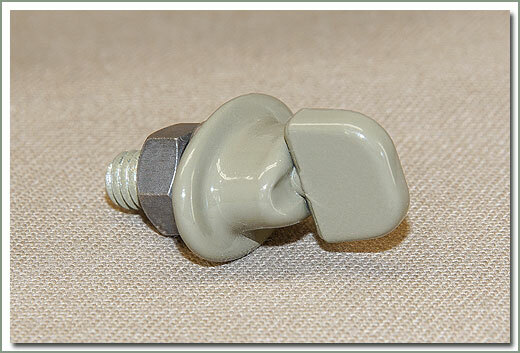 Fits 4/78-9/78 40 Series - Includes: exposed rear door hinge screws and washers, exposed front door hinge screws and washers, windshield hinge screws and washers, hood hinge screws, washers and nuts, hood hook screws, washers and nuts, windshield hook screws, washers and nuts. 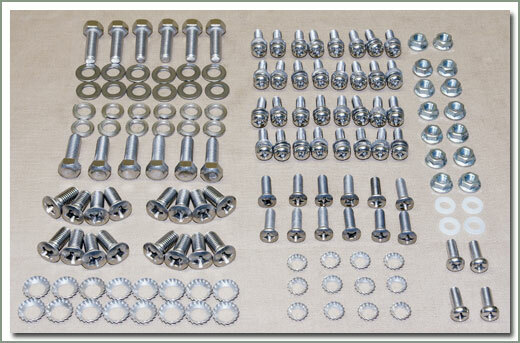 Fits 9/78-1984 40 Series - Includes: exposed rear door hinge screws and washers, exposed front door hinge screws and washers, windshield hinge screws and washers, hood hinge screws, washers and nuts, hood hook screws, washers and nuts, windshield hook screws, washers and nuts. 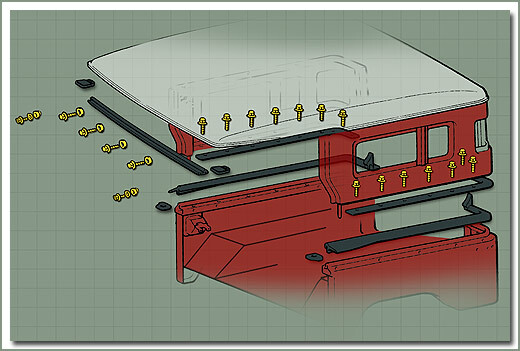 Specter offer Hardtop Weatherstrip Kits to make it easy to reinstall your hardtop back on your FJ40. 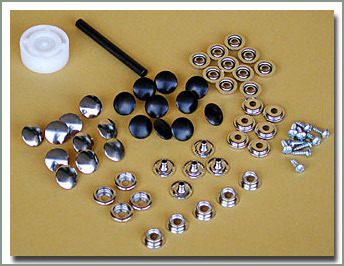 Kit comes complete with all the main pieces needed to put back on your hardtop. 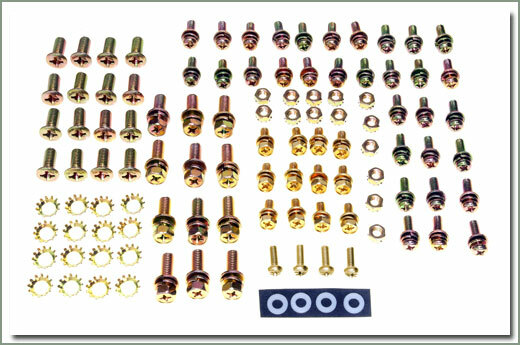 Kit includes #108-01 top weather strip, #108-04 top corner pads, #108-06 side panel weatherstrips, #108-07 pole tab weatherstrips, #108-08 side panel lip weatherstrips, #108-10 bolts, #108-03 cap nuts, #108-09 screws, and #108-02 bolts. 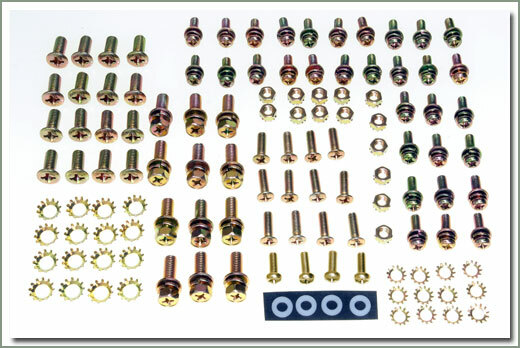 So if you've lost or misplaced all your parts from last year, now Specter can offer you a easy way to order one part number and get everything you need. 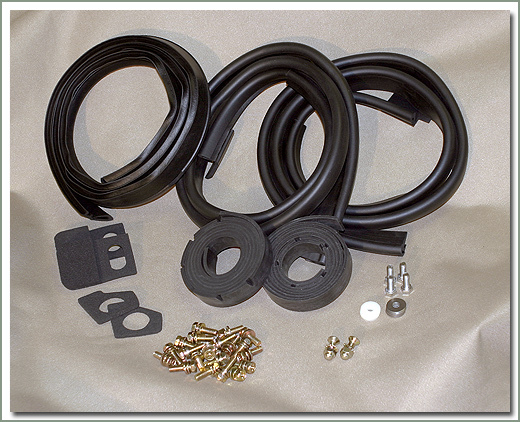 This hardtop weatherstrip kit is for FJ40 owners who are NOT separating the fiberglass hardtop from the side panels. 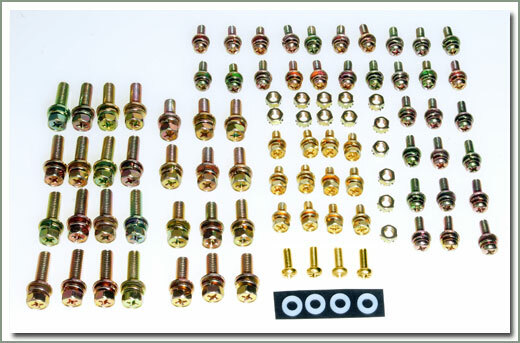 If you plan to do this you may need to purchase additional parts, please see #108-05 weatherstrip, and #108-10 bolts, order separately if required. 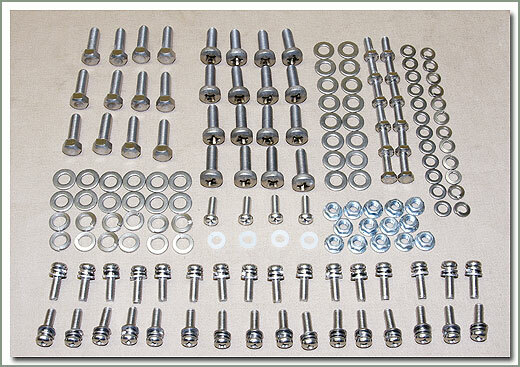 Refer to SOR service tip reinstalling hardtop reference check list.